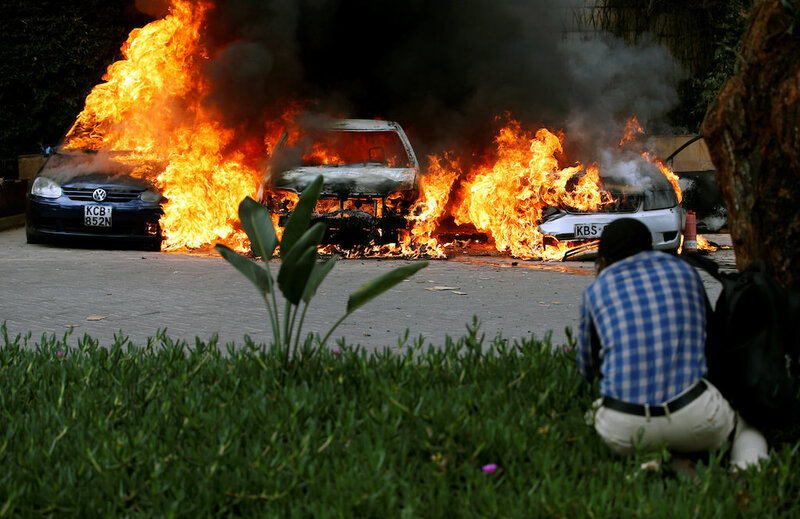 NAIROBI – Somali Islamist militant group al-Shabaab have claimed responsibility for an attack in the Kenya capital of Nairobi, their spokesman told Reuters. “We are behind the attack in Nairobi. The operation is going on. We shall give details later,” said Abdiasis Abu Musab, al-Shabaab’s military operations spokesman. A complex attack is ongoing in Nairobi at the 14 Riverside complex, which houses the Dusit hotel as well as other offices and shops. Law enforcement has affected multiple evacuations from the hotel and nearby businesses. Local news has reported that there are three vehicles on fire. Explosions and gunfire were heard earlier on Tuesday afternoon. The Nairobi fire department is attempting to extinguish the fires alongside security officials as they try to contain the situation. Nairobi police are attempting to surround the building to find and contain the attackers while simultaneously rescue people from the area. The number of casualties and injuries are currently unconfirmed. “We are under attack,” another person in an office inside the complex told Reuters, then hung up. Smoke could be seen rising from the area and a Reuters reporter saw several vehicles on fire near the entrance to the complex.